Dimensions 0.25 by 9.50 by 11.25 in. Two Bad Ants | The Other Side of the Story | Seriously, Cinderella Is So Annoying! | Memoirs of a Goldfish | Honestly, Red Riding Hood Was Rotten! | Seven Blind Mice | Believe Me, Goldilocks Rocks! Amazon.com description: Product Description: Different characters tell the same story from their own perspectives in this timeless childrenâs story book, which explores the themes of alienation, friendship, and the bizarre amid the mundane. I called his name . . . I felt really, really happy . . .
Four people enter a park, and through their eyes we see four different visions. There's the bossy woman, the sad man, the lonely boy, and the young girl whose warmth touches those she meets.Â As the story moves from one voice to another, their perspectives are reflected in the shifting landscape and seasons.Â This is an intriguing, multi-layered, enormously entertaining book that demands to be read again and again. 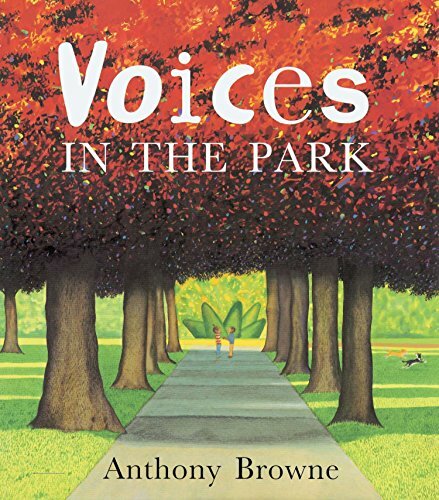 A Family Life Criticâs Choice Award winner, Voices in the Park uses radically different perspectives to give fascinating depth to an otherwise simple story.